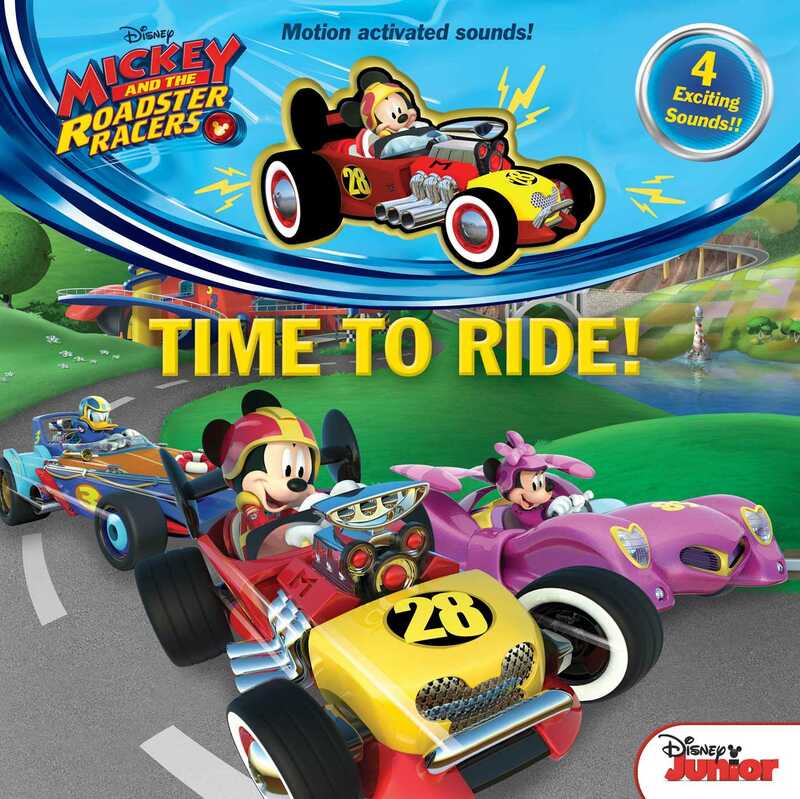 Hit the road with Mickey and the Roadster Racers in your own motion-activated roadster with four sounds! From up in the air to across the pond, the Roadster Racers are speeding along and winning the day! Zip along with your own motion-activated Mickey roadster with four racing sounds as you read this double episode retelling. Now you’re a part of the story, so let’s hit the road!